Doug Ford’s signs won't come cheap, but his office says they're crucial to investors knowing the province is a business-friendly place. The NDP's take? The signs are "completely useless." Premier Doug Ford's vaunted "open for business" signs will cost $106,700, his office said Friday. Ford's spokesperson, Simon Jefferies, issued a news release saying the six-figure spending on signage a "necessary cost" to ensure people know the province is business-friendly. 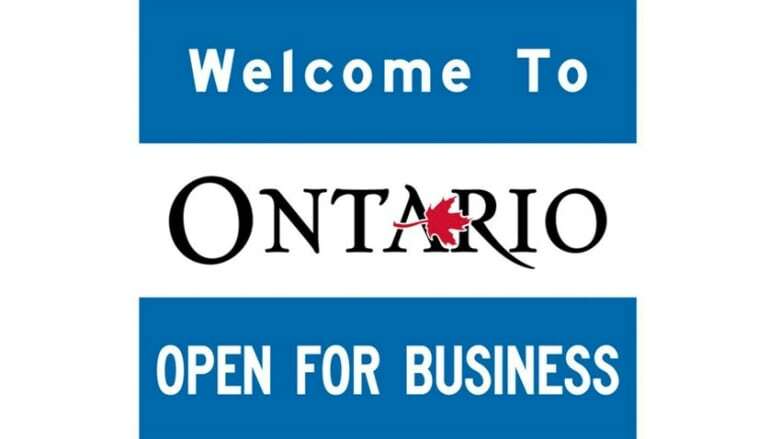 The Progressive Conservative government is erecting 25 new signs (in some cases, replacing old signs at existing locations) that say "Welcome to Ontario, open for business." Ford unveiled the first new sign in the Sarnia, Ont. area earlier today, near the Blue Water Bridge that connects the province to the United States. The Ontario NDP wasted little time before blasting Ford's signs on Twitter, noting it would take a minimum wage earner more than three years to afford the signs. As for the signs themselves, the Official Opposition tweeted they're "completely useless." The premier's office touted the recent move to scrap the cap-and-trade plan, brought in by the previous Liberal government, and a new act aimed at cutting red tape are proof of the government's commitment to welcoming new business. "The Government for the People has been working tirelessly to make Ontario the most-competitive place in the world to do business," Jefferies said. Jefferies claims the new signs are being produced in the "most cost-effective manner possible."